If you ever visit the wikipedia site, surely you often find a list of the contents in the article, where the table of contents that will bring you to the desired discussion. A table of contents allows users to jump to the section that they want to read. It also will increase the SEO in google search engine, because google automatically add a link to jump to the part when your site appears in the search results. Table of contents plus Plugin will classify the content based on paragraph’s heading order, and levels of headings. In addition, you don’t need to set too much setting for this plugin and don’t need to put the long code in the page. Table of contents in the article were made similar to the table of contents belonging to wikipedia site with the same function. Examples of table of contents with “Table Of Contents Plus” plugin looks like the picture below. 1. Please download the table of contents plus plugin. 2. Once active, go to the settings table of content to make the adjustment you want (settings > TOC+). Position is the position where TOC+ widget placed. Show when : TOC+ widget will shown where content has minimum heading. 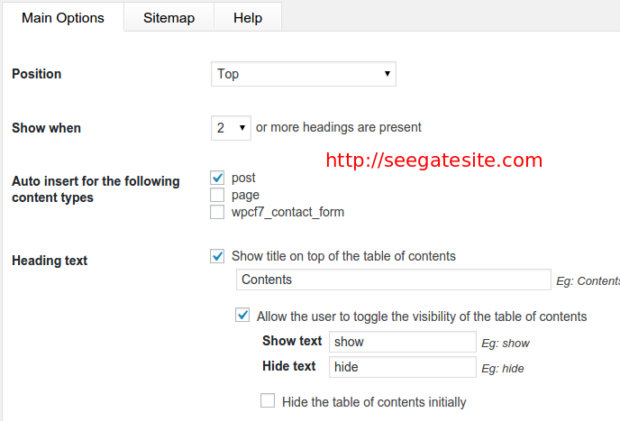 Auto insert for the following content types : locations where TOC+ widget will be placed. We can set table of content plus default theme. How does table of contents plus work ? 1. Auto insert : TOC+ will automatically generate table of contents for an article when we choose “Auto insert for the following content types” in the setting. 2. Shortcode : There are 2 shorcode it can be used for content. – : if you want to disable table of contents plus widget at your article. 1.2 How does table of contents plus work ? 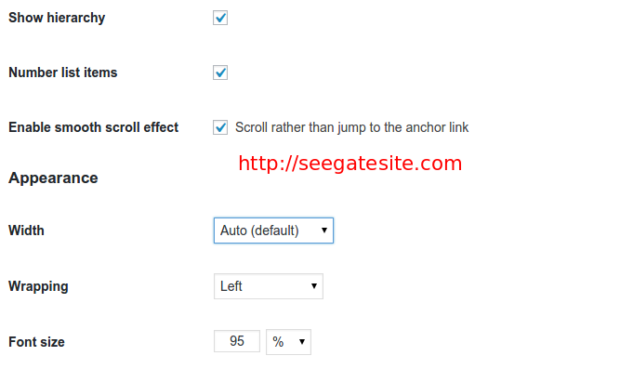 : If you dont choose auto insert TOC+ in settings menu. You can Add at your article to show table of contents in the article. 3. Widget : TOC+ offer you to display a table of contents in the widget sidebar.